We’re excited to announce that the Pride of the West spirit store is now online and taking orders. We’ll be featuring a selection of high-quality items this year, including show shirts, drawstring bags, hats, hoodies, golf shirts, and more. 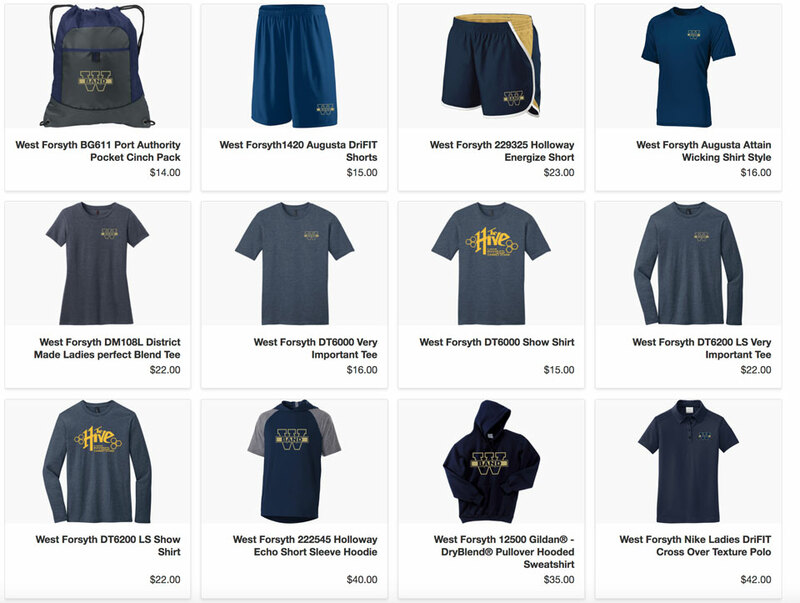 Be sure to support your awesome West Forsyth High School Band by sporting your spirit wear at the football games and around town this year. Visit the store today at www.gear4us.com/wfband.